Sara L Ashby advises on patent enforcement and strategy, and conducts legal proceedings in relation to patents and other IP rights. Wiggin LLP’s patent team originally hailed from IP boutique Redd Solicitors LLP, with the two firms having merged in November 2017. The team is renowned for partner-led service delivered by a close-knit team of clever lawyers which punches well above its weight. 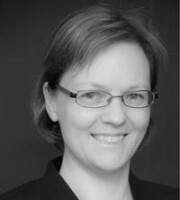 Ms Ashby has litigated patent cases in the English Patents Court and Court of Appeal, and has considerable experience litigating matters in the Intellectual Property Enterprise Court and the new Shorter Trials Pilot Scheme, with their streamlined procedures and different costs regimes. She is equally comfortable acting for claimants and defendants – whether multinationals or owner-managed businesses, no matter where they are based, in standalone litigation or matters involving parallel proceedings in other jurisdictions. She has handled patent cases in many industries, including pharmaceuticals, medical devices, automotive, optics, household goods, packaging and general engineering. Notable cases have included acting for the successful defendants in Pozzoli v BDMO, the leading Court of Appeal case on obviousness. Recent successes include obtaining indemnity costs and novel compensation for currency exchange losses incurred as a result of the Brexit referendum. Ms Ashby was recently an assessor to Lord Justice Jackson in his review of fixed recoverable litigation costs. She is secretary of both the International Association for the Protection of Intellectual Property (AIPPI) UK and AIPPI’s international designs committee. She is also secretary of UNION-IP (UK group). Ms Ashby is heavily involved in Oxford University’s postgraduate diploma in IP law and practice, lecturing on litigation, tutoring and examining on designs, and serving on the Diploma Management Committee. She is a regular speaker on intellectual property and writes on enforcement in publications issued by the Chartered Institute of Patent Attorneys and Chartered Institute of Trademark Attorneys.